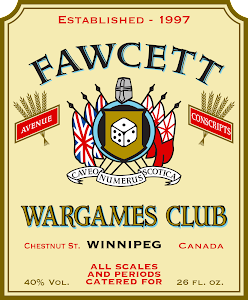 Fawcett Avenue Conscripts: Another Painting Challenge, another insane plan! 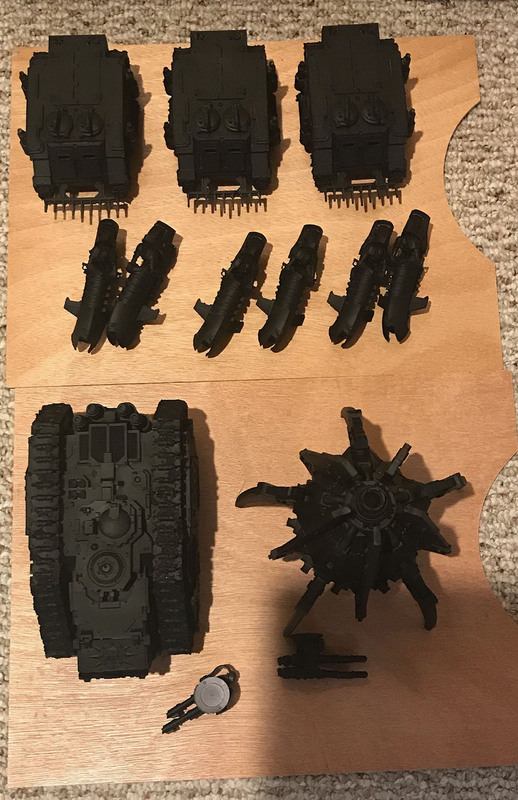 With Curt's annual painting challenge starting yesterday, it's high time I post an opening post and try to outline some of what I will try to get done this yet. 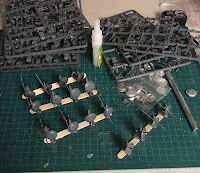 Normally I have a big spreadsheet done to help me keep on track (and to keep my OCD personality in order), and this year I started one, then got busy with work, laser cutting plans, and actual assembly of models for the challenge. I do have some overall plans, just nothing laid out as well as I would like. 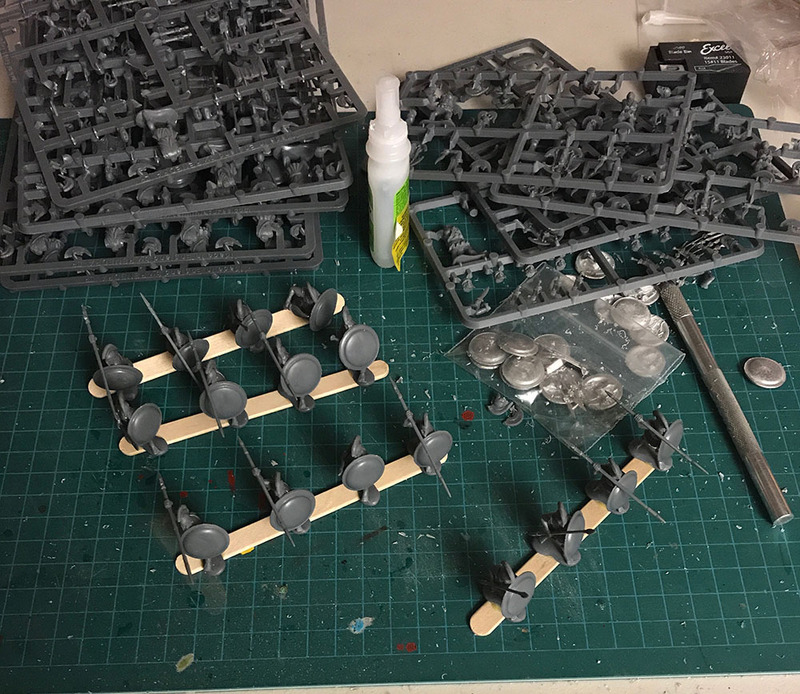 I put in for 1500 points again this year (about 300 28mm infantry models) but probably have about 2500 points assembled and primed. I have been looking forward to the challenge all year and collecting and assembling models to get ready for it, and it just kept growing. There is no way I am going to get it all done, but we will see how it goes. - Finish my SAGA vikings and Saxons from last year (I only got 1 squad of each painted last challenge). - Paint up another Dropfleet Commander faction. - Paint an entirely new and mad 30k project, a complete robot based Mechanicum army! 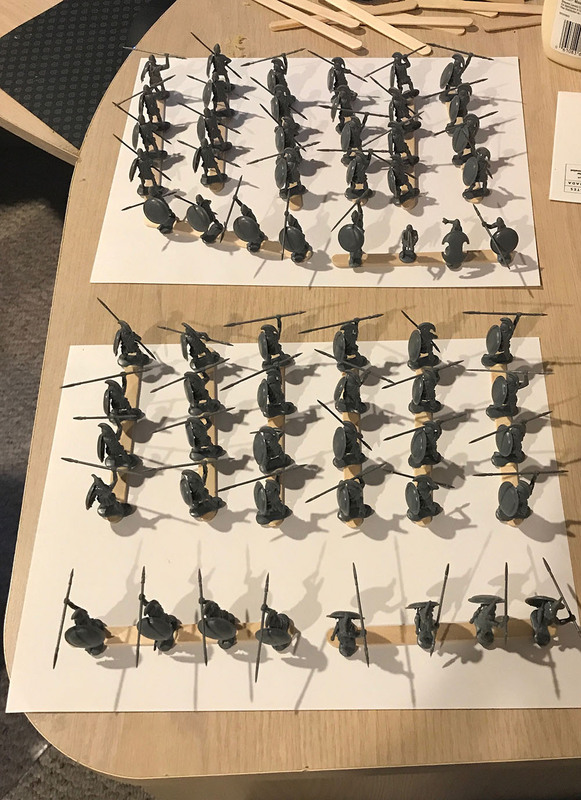 - Paint enough ancient Greek units to put on a game of Hail Caesar! Ok, that's probably a pipe dream in one challenge, but I do have over 100 assembled Greeks already. - Paint something for at least 4 of the 6 theme weeks (I have something planned for each one, but not sure I will get to them all). - Finally get my Tau titan done, this is year 3 that he is in the queue though, so who knows. - Get some more Infinity figures done as needed for the league I am in. - Paint my first 54mm scale figure. So, as you can see, WAY to much on the plate. Oh, and I just took a commission to build some terrain for Greg, since he would rather gargle glass and chase it down with acid than build terrain. So that might show up in here too, no idea. The pictures here are just a few of all the primed items I have littering the house and annoying the wife as she tries to clean up for Christmas! The best plans are the crazy ones! Looking forward to seeing whatever it is that you deliver during the Challenge Byron. Best of luck! Mechanicum are really cool. Big brutal robots. How did you paint your Alpha Legion blue btw? 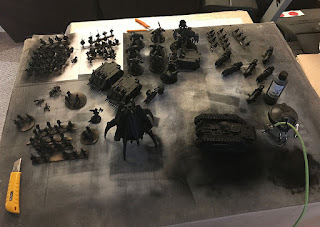 Looks great Byron - with your insane airbrush skills all of those 30k things in particular will be works of art I am sure! 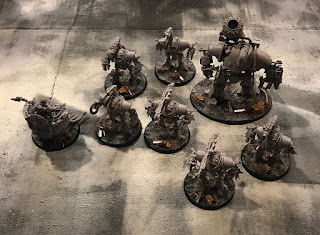 @Anonymous - if you want to know more about the blue on the Alpha Legion models seen on this blog, send us a note in the contact form. Cheers!